In an industry increasingly fixated on scale, Noble Capital Markets is an advocate for the little guy. For example, for its second successive annual investor conference in Fort Lauderdale, Noble brought a group of small-cap and micro-cap shipowners together with investors who focus on such relative minnows. In some ways, the event mirrors the sort of thing that Florida-based Noble seeks to do all year as it pursues a niche among shipping investment banks that runs against the wisdom that bigger is generally better. “We feel like we have gained some traction in the micro-cap to small-cap range,” Mark Suarez, Noble’s shipping investment banker, says in an interview. 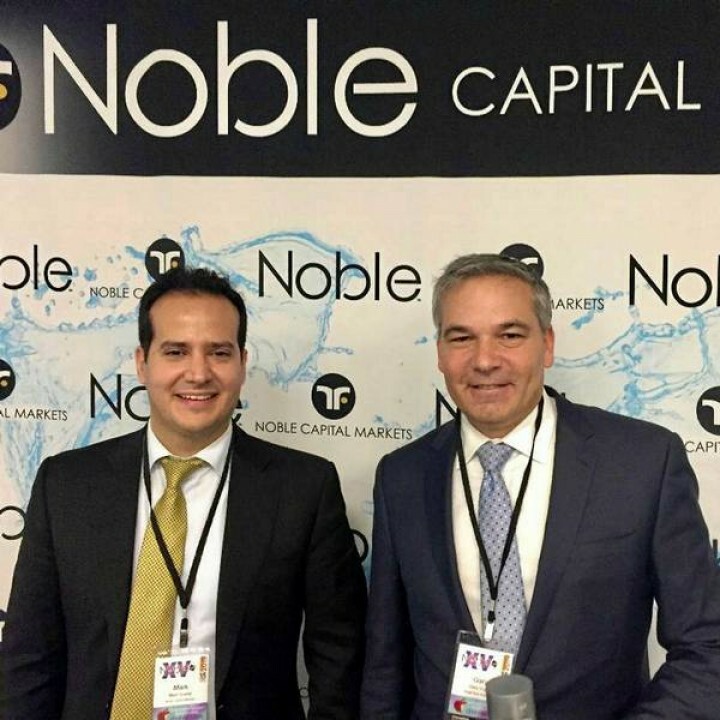 Noble works to connect them with a network of investors specialising in smaller companies, most of which will be looking largely at sectors besides shipping. For example, presenters at the Fort Lauderdale forum concentrated largely on technology and the pharmaceutical industries. Noble has guided both International Seaways in the tanker sector and Eagle Bulk Shipping in the dry trade to meetings in Cleveland and Milwaukee. “We do different stuff,” Suarez says. “A lot of shipping companies come to us because we can offer a different and non-overlapping series of investors.” International Seaways was the largest shipowner at the Noble event with a market capitalisation of just over $500m. At the other extreme were tiny Pyxis Tankers ($22m) and Seanergy Maritime ($20m), with dry bulk’s Eagle Bulk and Genco Shipping & Trading in between at just over $300m each. While most public shipowners would love to have a roster of large, institutional “buy and hold” investors, some of these owners are too small to get their attention. Some large institutions prefer a market capitalisation of $2bn, with $1bn a must for others. Simply put, a beaten-down sector of shipowners — many trading well below their net asset values (NAVs) — must take investment where they can get it, and that means having patience for the smaller names, too. “Investors in Exxon and other big energy companies typically aren’t able to invest in shipping companies,” International Seaways chief financial officer Jeff Pribor says. Oaktree Capital Management and GoldenTree Asset Management together control nearly 50% of Eagle Bulk's shares. Eagle Bulk owns 46 bulkers. Centerbridge Partners and Strategic Value Partners control about 60% of Genco combined. Genco owns 61 bulkers. Fratt says Noble has focused mostly on dry bulk thus far in its equity research, “but will clearly expand” coverage as it sees fit going forward. “It’s an industry where we felt the fundamentals were closer to a supply-demand balance,” Fratt says. Suarez concedes that equity markets have been challenging for shipowners in general. He says Noble does see the advantage of scale in public companies, but still believes it has a role in getting smaller owners closer to that goal. In the past year, it has been co-manager on a Genco follow-on equity deal, lead placement agent on an at-the-market offering by Pyxis Tankers and done advisory work for Pyxis Tankers, Seanergy Maritime, Euroseas and EuroDry. "I think what investors are looking for is sustainability and profitability in [time charter equivalent] rates and operations,” Suarez says. “They also want to see some stability in the broader stock market." The China situation certainly has not helped as investors tend to connect shipping to the Far East country. "A lot of investors see shipping as boom and bust to begin with, and it’s been a tougher sell since volatility increased in 2017 and China trade issues began in 2018,” Suarez says. He also has stressed that investors increasingly are looking for clean corporate-governance structures and wary of related-party management conflicts. The banker sees a continued drought for shipping initial public offerings in 2019 and likely a continuation of consolidation that can form larger owners. "I do see a lot of companies that we cover right now being candidates to acquire someone else or be acquired, and I think this is a trend that is going to continue," Suarez says.